You’re looking at what Moroch, a Dallas-based advertising agency, cooked up for McDonald’s in October of last year. 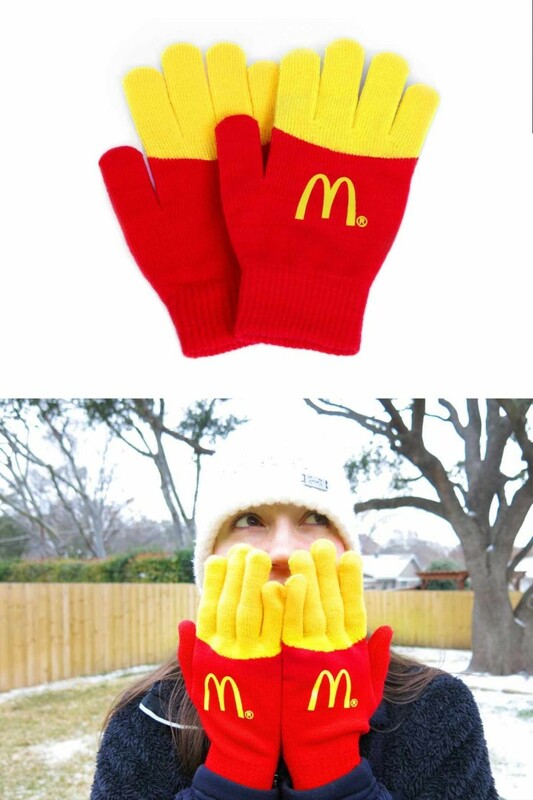 We… don’t know what the campaign was, when or where they were used, but these gloves are a brilliant idea if you ask us. Granted they may end up making you want to bite your fingers off, but that’s a risk we’d totally be willing to take. No you can’t buy them, at least not yet, and we suspect you might get a lawyerly letter if you tried to market these yourself without permission. But… that wouldn’t stop grandma from making you a personal pair, now, would it? Not that we’re encouraging trademark infringement, but once an idea is set free, it’s hard to put it back in the box.